The song appears on the Rattle and Hum album and video. During the performance of Desire on the ZooTV tour, Bono assumed the persona of the street-preaching Mirror Ball Man. In February 2000, U2 performed the song live when they received the Freedom of the City award in Dublin. The Hollywood Remix version of Desire was aired on Miami Vice in the 5th season episode entitled 'Fruit of the Poison Tree'. The following artists have covered the song: And Why Not? on their single Something U Got; the Royal Philharmonic Orchestra on Pride:The RPO Plays U2; Studio 99 on The Best of U2-A Tribute; The Polecats on We Will Follow: A Tribute to U2; and the Savitri String Quartet on Strung Out On U2. The song can also be found on the following compilations: 1989 Be Happy, Super Session/Volume One (an AIDS charity album); Gold & Platinum Volume Five, Heartlands, WFM 96.9 Sampler and the Brit Awards 1989 sampler. 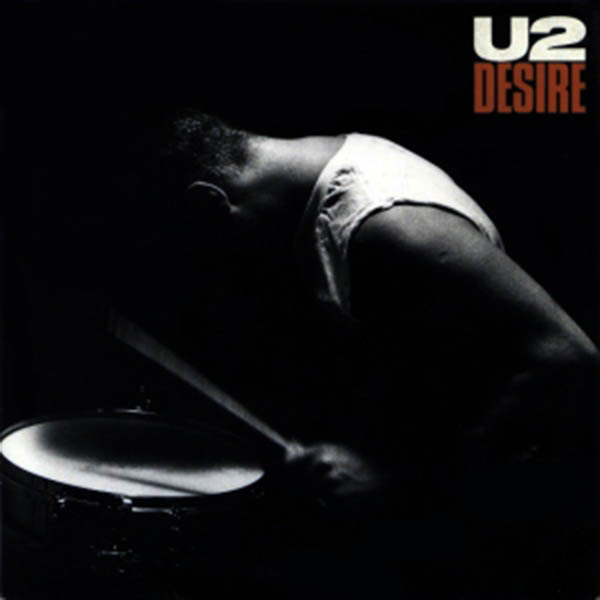 Desire became U2's first No. 1 single in the UK and picked up the Grammy for Best Rock Performance By A Duo Or Group With Vocal and the 1988 Rolling Stone Readers Pick for Best Single.